Author and Bible teacher, Pastor Dawn Wilson empowers the body of Christ to arise as warriors who accomplish effective spiritual warfare. Dawn and her husband Randy Wilson pastor Mighty Warrior Church in Athens, Alabama. 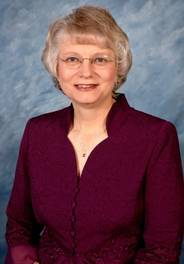 She also ministers as a conference speaker and seminar leader through Dawn Wilson Ministries. Dawn has been described as a dynamic and powerful speaker who brings the Word of God to life with precision and clarity that is easily understood. As a speaker, Dawn sounds the battle cry for all women of God to get in their position on the battlefield and become a force for God against the enemy bent on destroying our families and our value system. She has a heart and passion for God and ministers a powerful message of hope and encouragement, which women of today very much need. Dawn is ordained as a pastor through Gospel Ministers and Churches International. My Testimony really begins with my first memory. One of my very first childhood memories is of my thinking about "what" my grandfather was doing to me. In this memory I do not know how often I had already been sexually molested by him, but I do know it had been happening to me for a long time. To determine my possible age at the time of this memory I asked my mother how old I was when we lived in that particular house. She informed me that we lived in that house when I was born, and we moved from there when I was between the age of 18-months-old and two years. I do not know at what age the sexual molestation started, but I do know it continued until I was 5 or 6 years old. At this age, my brother forced me to finally tell my mother what was happening to me. I had told my brother of my sexual abuse only because he was tormenting me because I refused to stay with my grandparents while my parents went out of town. In anger at his torment and teasing I finally blurted out the awful truth behind "why" I refused to stay overnight with them. My brother forced me to tell my mother by telling me he would tell her if I did not. I remember the great fear I felt as I went to tell her. I knew from my grandfather's constant threats that if and when I told, "Everyone would hate me," and "I would be in big trouble." He had told me this lie over and over, and I believed him. His words are what rang in my head as I stood before my mom and finally told her what he had been doing to me. Another reason I did not tell anyone about what was happening to me is because I did not trust an adult to put a stop to it. I did not possess this trust because my grandmother had walked in on my grandfather molesting me. I remember loud and clear the words she said as she turned around and walked away leaving me there alone with him, "Oh, you're doing that again." All hope of rescue fled from my heart as she turned and left me in that room. Once my mother knew what had been happening to me, she did what she thought was the very best at that time. I received from my mom what I needed in that hour - she believed me and protected me from any further abuse. My grandfather was never left alone with me after that time. She kept a very watchful eye on me any time we were in his presence. Yet, she did not confront my grandfather about the molestation, nor did she ever tell my father and forbid me from doing so. I understand now that she did not tell my father because she feared he would kill my grandfather. Yet, as a child I only understood that I must have done something terribly, terribly wrong because my daddy couldn't know. This opened the door for me to see myself as having little or no value because I had done something incredibly terrible and awful. I carried that estimation of myself for many, many, many years. I have forgiven my mom. I now believe she did what she thought was best and the very best she knew to do. This occurred in a time when this type of behavior was still considered to be "the family's dirty little secret." As an adult I learned I was the last of a long line of children and grandchildren sexually abused and molested by him. When I finally came to Christ and understood I must forgive, it was actually easier for me to forgive my grandfather than to forgive my grandmother. The injustice I felt in my heart about being left in that room alone with him had to be overcome before I could finally forgive her. Thank you, Jesus, for helping me to jump each of these hurdles and into the freedom of forgiveness. Because of the sexual abuse I carried in my heart the ideas that I was "damaged goods" and "no one would ever want to marry me because I was no longer pure." I had glimpses into his anger and abusive tendencies during those years. I made the choice to ignore these glimpses because I was afraid if I did not marry him no one else would. I was convinced that I must "settle" for him and be grateful he wanted me. We were married less than two weeks after I graduated from high school. My father not wanting to lose a relationship with me felt forced to consent to this marriage even though he saw the alcohol abuse. The first time he hit me was on our honeymoon. We had only been married for two or three days. I don't remember "why" he hit me - just that it was due to something small and of no real importance. He had never hit or laid a hand on me while we were dating. I had endured verbal abuse during the years we dated but but no physical abuse happened at that time. The first hit took me by surprise. The hitting and abuse continued and escalated throughout our one-year marriage. I have many memories of being sound asleep and being rudely awakened as I was pulled out of bed and hit over and over again by a drunken husband as he demanded, "Get up, and make me something to eat." I have memories of him not coming home on time from work. He had gone out drinking at the local bars with his buddies. When he finally came home hours and hours late to a cold supper, I would be hit because his supper was cold. Another time I had prepared supper, and again, he did not come home after work. His cousins had come to visit while he was "missing", so I fed them his supper. When he arrived home to no supper, I again received a beating. It did not matter I had made him a meal and his cousins had eaten it - all that mattered was he was hungry, and I did not have a meal prepared to feed him. If I every questioned his whereabouts - where he had been, what he had been doing, and who he had been with - I would be punched and told to "shut up," or "it's none of your **** business." I soon learned not to ask. He often came home reeking of perfume - by this time I knew better than ask. I must also admit I did not take being hit lying down. I had been raised with three brothers and knew how to fight back, which I often did when he would hit me. Hitting him back only caused the abuse to escalate - turning the abuse into a knock-down, drag-out fight. During our marriage, I worked at a Christian, day-care center. One woman there began to minister Jesus and His love to me. I attended church with her one Sunday morning; and as the altar call was given, I felt myself drawn to the altar. I remember thinking to myself, "I don't want to go down there." Then I was on my knees at the altar and tears running down my face. I'm not sure how I got there - I just know Jesus met me there. I remember to this day how incredibly clean and brand-new I felt as I got up from the altar that day. Sad to say, I did not continue in a relationship with Jesus, but chose to live a life filled with sin. As I considered the words of the ER nurses, I knew all love had ceased when I lost all respect for him. I made the decision to flee from my abusive marriage by filing for a divorce. While I was moving my things out of our house, he came home. (I thought I had gone back at a safe time since he was supposed to be at work for several more hours.) We fought violently. At one point, he put his loaded shotgun to my head screaming, "You are not going to leave me" and pulled the trigger. Praise God, the gun did not fire, and I was able to wrestle myself free from his grip and run out of the house. I knew if I could just make it outside I would be safe because our next-door neighbor was a city police officer. I also believed he would not follow me outside with his shotgun because of this fact. I went into hiding in another city and state. I fled the frying pan and ran straight into the fire. Quickly, way too quickly, I was in a relationship and living with a man who also physically abused me during the time I lived with him. This abuse was even greater than I endured during my marriage. I had not continued in my relationship with Jesus, yet He spoke to me through a vision in this hour of my life. In this vision I saw two roads and where each road led. One road was filled with the sinful things of the life I was living and the other road was filled with all the good things I wanted for myself. I knew which road I was on, and I knew I wanted the other road and its good things. Knowing which road I wanted for my life was the beginning of my completely turning my life over to God. Having seen the vision of God and where my present life was leading, I finally got up the nerve to tell him to get out. I came home from work to find his car packed with all his stuff and him waiting for me on the porch steps. He pulled me inside the trailer saying, "We need to talk." When I would not allow him to stay, he attacked and began to choke me. In those minutes of being strangled to death, I thought, "I'm going to die today," and I cried out to God to help me. God did indeed help me. A friend of his knocked on our door, and he let go of my throat in order to answer the door. When he opened the door I pushed past him and ran down the road. I ran until I came to a pay phone and I called the police and my parents. The police came, but he was gone. They took pictures of my black and blue throat and two, perfect hand prints. Because my parents were coming to take me out of state, they advised me to just go with them and not file charges against him. My parents arrived about four hours later, and we packed up all my belongings. I lived with them for the next several months. I was still rebellious and refused to obey the rules of my parents' home. I still did not leave my sinful ways or fully yield my life to Jesus. During this time, I did feel the prodding of the Holy Spirit continually in my heart urging me to turn my life over to the Lord. When we married, my husband and I both were not serving the Lord. One of the things that drew me so intensely to him was the fact we both knew one day (a day we thought was far off in the future) we would serve the Lord. My husband's aunt is a committed Christian. I told her I was also a Christian. As a wise and discerning woman of God, she knew I was far from living my life as a Christian. My husband and I went to church with his aunt and her family one Sunday. As the choir sung in praise and worship to the Lord, I saw joy on their faces I knew I did not have; and I intensely wanted that joy. My husband and I received temporary duty orders to Spain for 6 weeks. My husband's aunt took me to a Christian book store to buy me a book to read on the flight over. She wanted to buy a book to help me grow as a Christian. She asked the shop's owner to help us find a book about being a Christian for new Christians. (I did not know at the time, but she and the shop's owner were good friends. I still wonder if these two were in cahoots that day.) A book was selected and purchased for me. My husband and I were off to Spain. I did not read the book on the flight over. Circumstances eventually wrought my reading of this book. While we were in Spain, I tripped and fell from the stairs of an aircraft. I badly sprained my ankle which was placed in a cast. My husband was working on the flight line 12 hours each night and I worked a 12-hour shift during the day. We only saw each other in passing at shift change and on our days' off. Loneliness and boredom caused me to pick up the book and begin to read it. The last chapter of this book was an altar call in word form. As I read those words, I sobbed and sobbed in conviction. My heart fully yielded to the Lord, and He became the Lord of my life that night. My life began a transformation process that very night. I hungrily feasted on the Word of God and developed a personal prayer life that continues to grow stronger with each passing year. My husband gave his life to the Lord about 7 months later at a Christian Conference the church we attended was sponsoring. I was truly amazed when the Evangelist stood and said God had told him to give the altar call before the message, and my husband rapidly stood and strode forward in response to the altar call. I wish I could say that everything was "peaches and cream" in those first few years of our marriage. It is with great sadness that I can't. My husband is an extremely loving and gentle man, however, the abused became the abuser. In those first years of marriage, I would lash out in rage and hit, scratch and bite my husband. I hated this anger and abusive behavior which was issuing out of me. I knew as a Christian I was not walking as I was commanded in the Word of God. The Lord blessed us with a beautiful son after five years of marriage. His birth was an answer to our prayers. We went through several years of infertility examinations and were told we would not be able to conceive a child. Then they said to check into adoption. Less than one month after being told we would never be able to have children, I was pregnant with our oldest son. God had worked a miracle. When our son was 6 months old, I attended a women's conference where God restored my self-worth and value when He told me of the great value I was to Him. I learned how He loved and valued me. This knowledge set me free from the shame and devaluation that had for so long controlled my life. Here the shame of my youth was removed. I no longer wore its cloak upon my shoulders, but I wore a new cloak of my God's love and value. Seventeen months after the birth of our son, we were blessed with a delightful daughter. Stress of dealing with a toddler and an infant soon found me losing my temper at my son. Twenty-two months later, the Lord doubly blessed us with twin boys. The stress level was now intense, and my anger was soon heading towards being out of control. I was so afraid I would abuse my children due to the anger issuing from me. I read a book by a Christian woman who had dealt with the issue of anger, and how it was loosed upon her children. This book helped in a measured amount as it gave me some tips in controlling my anger before it exploded. Also, it showed me how to discipline my children without being angry or using anger as punishment. I was indeed doing better at controlling my anger, BUT it wasn't gone. It felt like I was a teakettle building up a head of steam, and I knew an explosion was building up. In desperation, I shared with my Sunday school class about anger issues and how I was afraid I would cross the line and abuse my children. I received no help from them, not even prayer. They simply told me all mothers felt this way. This testimony is not easy to write since most know the story of my sexual and physical abuse. However, I've not often shared this part of the story of being a physical abuser of my husband and my fear I would cross the line and become an abuser of my precious children. We began home schooling when my son started 1st grade. Through home schooling, I became friends with the woman God would use to set me free from this anger. She began talking to me about deliverance. As a member of the Assemblies of God, I believed non-Christians could have a demon problem and need deliverance, but I did not believe a born-again Christian could. As she gently spoke to me and used the Word of God to back up all she was speaking, I finally asked God to show me if I needed deliverance. That very week God revealed my need to be delivered of the spirit of anger that was indeed being instigated by an unclean spirit. God revealed this anger towards my oldest son. While in a fit of anger, I felt absolutely appalled. At the very same time, I could feel the unclean spirit enjoying the anger being expressed through me. I went quickly to my friend for deliverance. The unclean spirit was cast out in Jesus' name, and I was delivered. Since that day, my anger has been totally changed. The best way to describe how this issue of anger was changed is to use a vision God gave to my husband. He saw my anger which looked like an oil pressure gauge in a car. This anger meter was pegged out in the red danger zone when we married. The Lord then showed him from the day of my deliverance, this anger meter had been steadily moving down to the level of zero - anger free. Praise God! I am no longer a prisoner of the spirit of anger! I am so thankful for His deliverance that set me free. I left behind being a victim and became an overcoming victor through Christ. I did so as God gave me value and self-worth through the knowledge of His love. I did so as God delivered me from the spirit of anger which had tormented me for too many years. Together my husband and I have served the Lord for almost 30 years and have 7 wonderful children. We have led many Bible studies in our home and served as Adult Education pastors. I served as a Women's Pastor. Together we now pastor a church and travel throughout the United States and minister at Revivals and as conference speakers. During the time I served as a Women's Pastor, I was praying and asking God "who" He would have come and speak at the women's conference at our church that year. God spoke and said, "I want you." After speaking those words, He gave topics for each sermon I would speak that weekend. I literally shook for days after hearing God say He wanted me for this work. As I wrote the sermons God had spoken into my heart, He began to speak about those sermons becoming a book. I laughed as God spoke to me and I said, "Me? You want me to write a book?" I told God I was not famous, no one knew who I was or knew my name, and I asked Him, "How would I ever get anyone to publish what I've written." I ministered at the conference, came home, and laid the sermons to the side. A year later, God moved us from our small home to the wonderfully larger home where we now live. As I finished home schooling that year, summer vacation approached; and I wondered "what" I'd do with my time since I would not be putting in the large garden I had planted for the last 10 years. I heard God say, "You'll write the book." That summer I sat at the computer and wrote the book God had given me,"Women, Get in the Army of God." In many ways, it contains my story, the healing process, and the procedure God took me through as He released me to walk in the gifts He gave me to pastor His sheep.